Inspiration can emerge when one least expects it, and it can be coaxed to life by some unusual and unexpected sources. Timothy Showalter, who records as Strand of Oaks, knows this all too well. On his new album, Eraserland, there's a looming sense of confusion, self-doubt, and fear. Despite his five previously-released studio albums, in late 2017 Showalter faced an artistic crisis that left him bewildered and not quite sure how to proceed in the aftermath of his 2017's Hard Love. Then he received a call from Carl Broemel, guitarist for My Morning Jacket, who offered his services to assist Showalter on his next musical adventure. In fact, four-fifths of My Morning Jacket — Broemel, keyboardist Bo Koster, drummer Patrick Hallahan, and bassist Tom Blankenship — jumped on board the project and with a little help from his friends, Showalter was back in action. Before the sessions bgan, Showalter spent several weeks in February 2018 writing songs that he felt would be worthy of this next album. By spring, he headed to a Louisville, Kentucky studio with most of My Morning Jacket, ready to begin work on what would become his sixth studio album, Eraserland. The first words uttered by Showalter on Eraserland are, “I don’t feel it anymore.” With this declaration on the album’s opening track, “Weird Ways,” Showalter neatly sums up the state he was in during the months before Eraserland's recording sessions began. 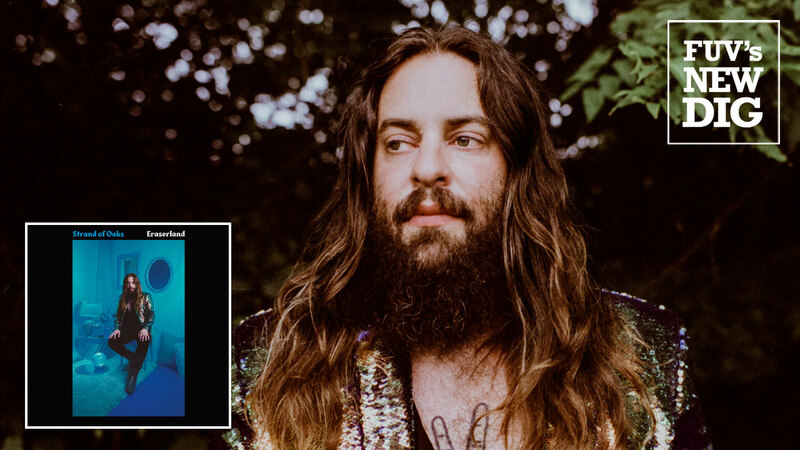 Later, on the introspective “Keys,” Showalter sings another self-truth: “I gotta get my s**t together before I’m forty.” This soul-baring, brutally honest lyricism is a signature characteristic of Strand of Oaks’ songs, and it is liberally spread throughout this heartfelt album. Eraserland is immersed in an aural gauze of reverb, best showcased on “Hyperspace Blues,” and this density intensifies the effectiveness of the album’s cathartic lyrics. “Moon Landing,” featuring the blistering guitar of guest Jason Isbell, is one of the album’s more ferocious moments. It boils over with Showalter’s stream-of-consciousness lyrics, which cite departed rock icons Malcolm Young of AC/DC and Soundgarden's Chris Cornell. Surrounding the heaviness that abounds throughout Showalter's Eraserland are upbeat songs like “Final Fires” and the infectious pop of his single, “Ruby.” Those two, along with the sparse acoustic ballad “Wild And Willing,” punctuate the emotive, hazy atmosphere that Showalter lays out for the bulk of the album. There's an epic nature to Eraserland: the final 26 minutes are taken up by just two songs, "Forever Chords" and "Cruel Fisherman." The former is the real crown jewel of the album, a nine-and-a-half-minute opus that takes a page out of Neil Young’s mid-Seventies playbook. Uncredited and hidden at the album’s end, “Cruel Fisherman," which features Eraserland co-producer Kevin Ratterman (Wax Fang, Elliot), is a 17-minute instrumental, bathed in Sixties-era space-rock psychedelia. Emma Ruth Rundle also lends backing vocals throughout the album. As he slowly wrote all of the songs on Eraserland, it's likely that Showalter would have preferred to have avoided the uncertainty and doubt that loomed over the album's genesis. But strangely, that difficult birth served his album well. With his confidence shaken and his ego broken, Showalter reached inward and found inspiration — and the beauty of Eraserland is his reward.